Yattendon Church of England (Aided) Primary School is situated in the village of Yattendon which lies six miles North East of Newbury. We are in the North Wessex Downs Area of Outstanding Natural Beauty. The school building was built in 1892 and given to Yattendon village by Alfred Waterhouse in memory of his son Alfred Maurice Waterhouse. The school has grown considerably, particularly since the late 1980’s when it doubled in size in less than 10 years. An extension to the building was added in 1996. The school was divided into three classes in 1997. The school serves a wide catchment area, although the majority of our children (61%) are from outside catchment, showing that we really are a school of choice. Our main feeder secondary school is The Downs, although children move to a variety of settings. The attractions of our school are many - a lovely building, a beautiful rural environment with a large playing field and playground for our pupils to enjoy, committed teachers, support staff and governors. The school has an active Parent Teacher Association (Friends of Yattendon School - FOYS) which runs events to raise funds for the school. They also commit to funding an enrichment day each term for the whole school, for example, a Roman Gladiator workshop, a STOMP workshop and a Shakespeare workshop last year. Our school council, represented by a member from each year group, shares the views of their classes at meetings. Last year they raised money for Guide dogs for the Blind and have visited the breeding centre as well as raising enough money to sponsor a puppy. Strong links to our church allow the children to enjoy many of the highlights of the Christian year including: Harvest, Remembrance, Carols by Candlelight and our annual St. Frideswide pilgrimage. 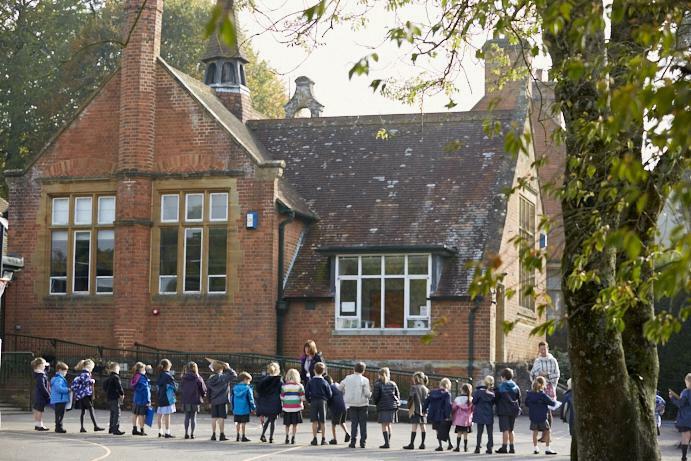 The school maintains collaborative links with local independent schools Bradfield College and Pangbourne College, where children can attend workshops to use specialist facilities eg. Science and Design Technology. The school offers a large outdoor space with a variety of areas: field, pond, outdoor classroom and hard surface playground with sport courts. The school believes strongly in providing after-school clubs that meet the interests of all our children. Sports such as gymnastics, netball, multi-sports, judo and football in addition to a gardening club, street-dance classes, face-painting, coding club and school Choir are all on offer.